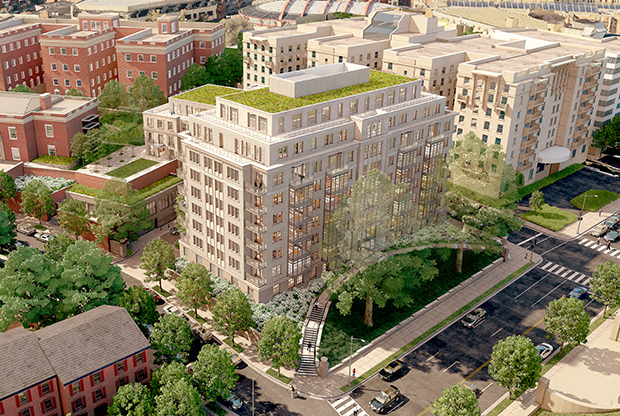 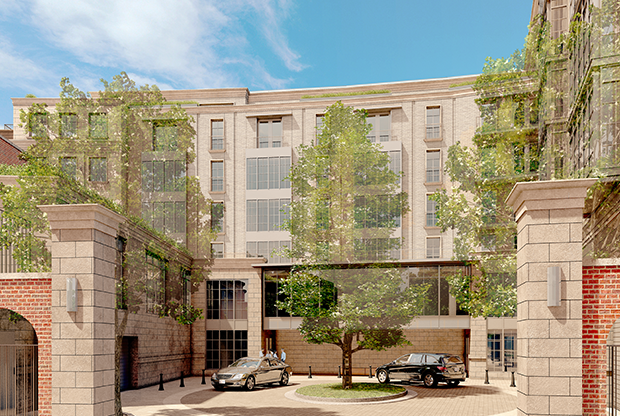 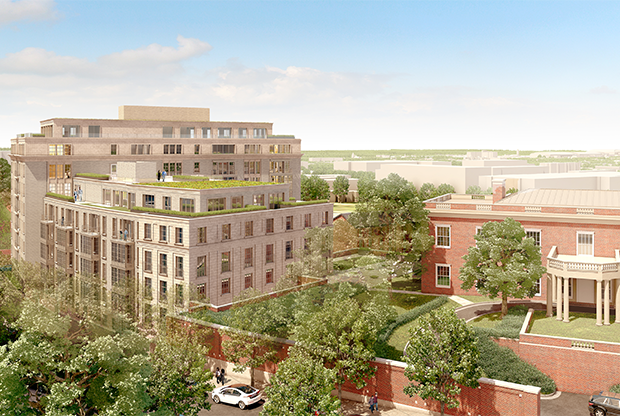 Located high on Meridian Hill with sweeping views of Washington, DC, a new 242,000 sf building is being developed by Meridian International Center and Westbrook Partners along one of DC’s grand boulevards. 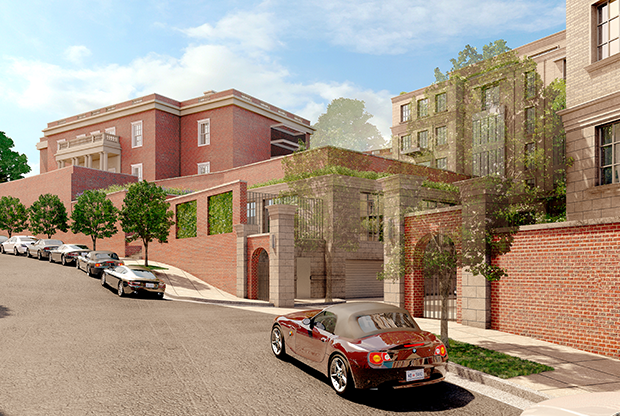 The entry court draws inspiration from the oval entry drives at the White-Meyer and Meridian Houses employing limestone and granite cobbles. 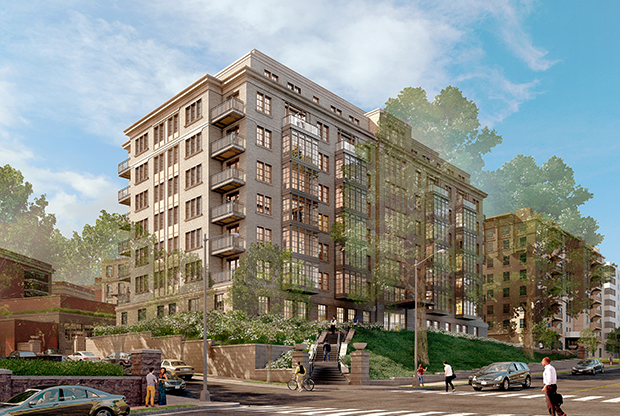 The banded column with finial at the entrance along 16th Street provides a heightened sense of arrival. 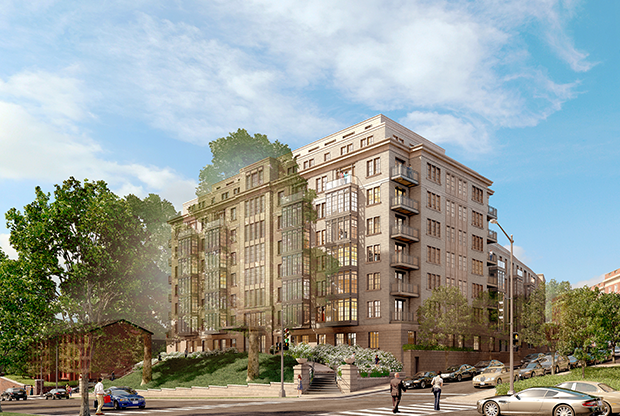 The site is located between the 12-acre Meridian Hill Park and two historic Beaux-arts mansions designed by John Russell Pope, which are two central icons of the historic Meridian Hill District.